California voters appear to be rejecting a multi-billion-dollar borrowing plan for a grab bag of water projects. Proposition 3, an $8.9 billion water bond, was failing late on Election Night by a 52 percent to 48 percent margin. The largest share, more than $2 billion, would have gone to protecting watersheds through land restoration, including in the Sierra Nevada, San Francisco Bay and Southern California. Other projects include water conservation programs, water recycling and funding to improve drinking water quality. The bond would have provided $675 million for groundwater management and another $200 million to underwrite repairs at Oroville Dam. 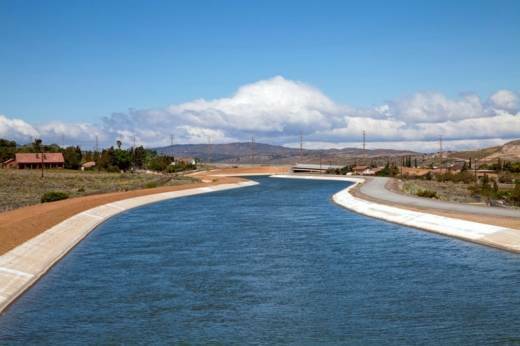 But the deal breaker might have been the $750 million for repairs to the Friant-Kern Canal. The federally owned project carries water to Central Valley farms. Growers in the area have overpumped the area's groundwater, causing the land to sink and damaging the canal. It’s lost 60 percent of its capacity to deliver water to farmers. Opponents of Proposition 3, including the Sierra Club, objected to having state taxpayer funds go a federal project. Generally, the users of a water project, like farmers or water districts, pay for their infrastructure. Proposition 3 was also criticized for lack of oversight. Previous water bonds, including Proposition 1, a $7.5 billion dollar bond passed in 2014, were placed on the ballot after hearings in the state legislature. Opponents of this latest funding proposal called it a “pay-to-play” measure, a hodgepodge of pet projects from interest groups around the state. The bond’s largest contributions came from Ducks Unlimited, the California Waterfowl Association and Western Growers. The bond would've cost the state a total of $17.3 billion over 40 years, including interest, according California’s Secretary of State.